Sallads are my favourite food. The secret is always incorporating a fruit, a cheese or some other yummy protein, and something crunchy. This salad has all of the above. 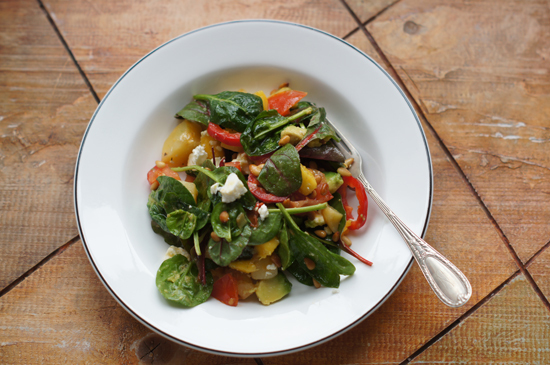 Mango, feta cheese, pine nuts and lovely lemony chunks of warm potato. Get more yummy family-friendly vegetarian ideas by Mini Veg here.